Well, well, well, look what just popped up in Texas? 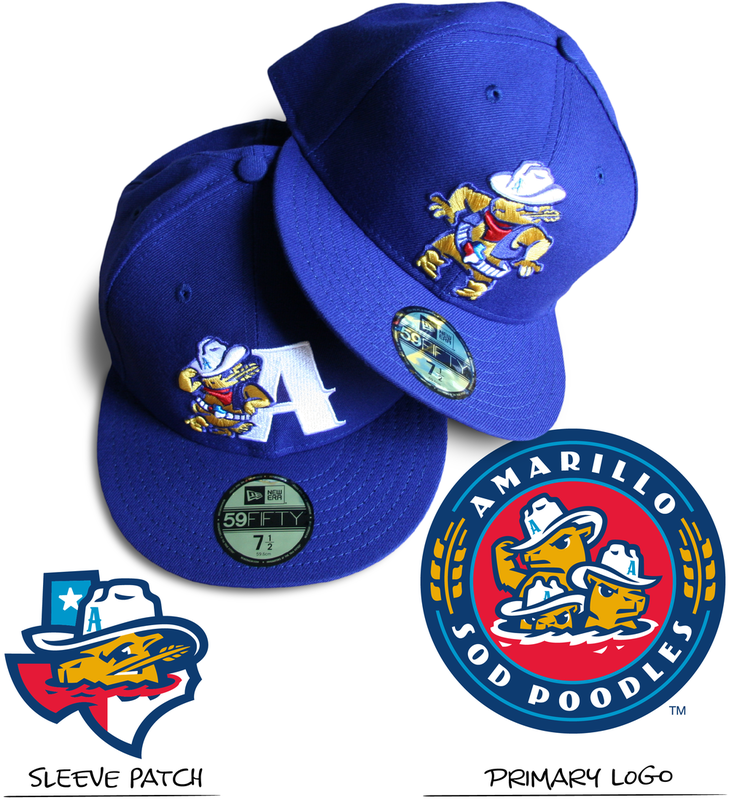 Amarillo, Texas embodies so much of what we love about great Minor League Baseball cities. A town with a ton of character, a great story to tell, and citizens that are thirsty for an exciting fan experience. It was our job to work with the staff in Amarillo to find a team name and create a brand that helped the operators deliver a world-class brand of family entertainment to the City of Amarillo. 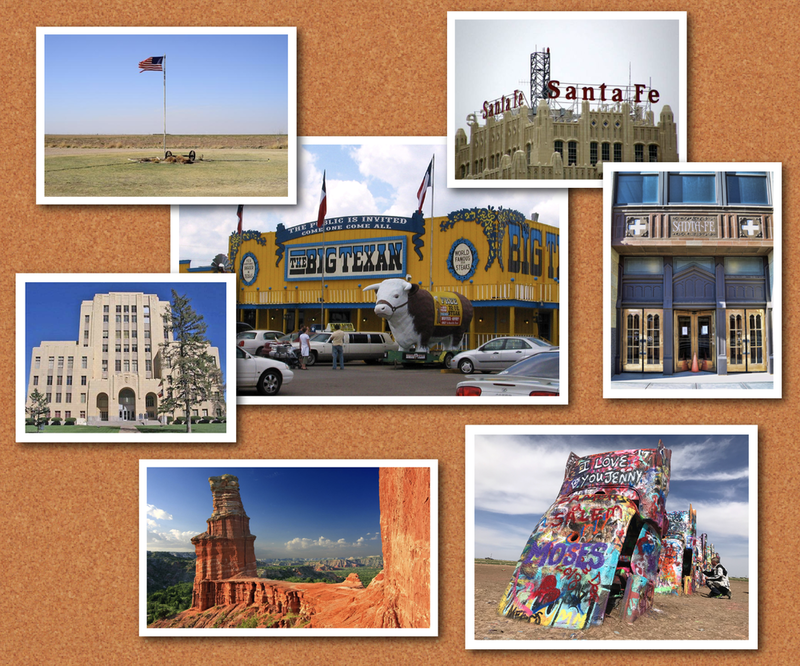 When we landed in Amarillo and began talking to it’s citizens, we discovered a proud people that are a fiercely loyal, family-oriented, they’re passionate about their hometown, and the windswept grassland landscape that surrounds their City. The “Sod Poodles” name originates from a nickname given to the prairie dogs found in the vast expanses of the prairie by the settlers crossing through the panhandle of Texas. And prairie dogs, being the loyal, family-oriented creatures that they are became the perfect name for the new team. Below, the “Amarillo Pro Baseball” Interim Logo, painted by Casey on one of the cars in the infamous Cadillac Ranch located just outside Amarillo, TX. As a matter of practicality, a franchise moving to a new town will need to have a presence long before they’ve named the team or unveiled the new team logos and uniforms. That presence includes logos that can be used for banners, emails, and social media. With “Amarillo Pro Baseball”, we tried something new and used a variety of marks that helped citizens and the media get excited about baseball in Amarillo. Inspired by Spaghetti Westerns and Downtown Amarillo’s architecture, the imagery that we infused into our first round of sketches centered heavily around cowboys and dusty prairie expanses. 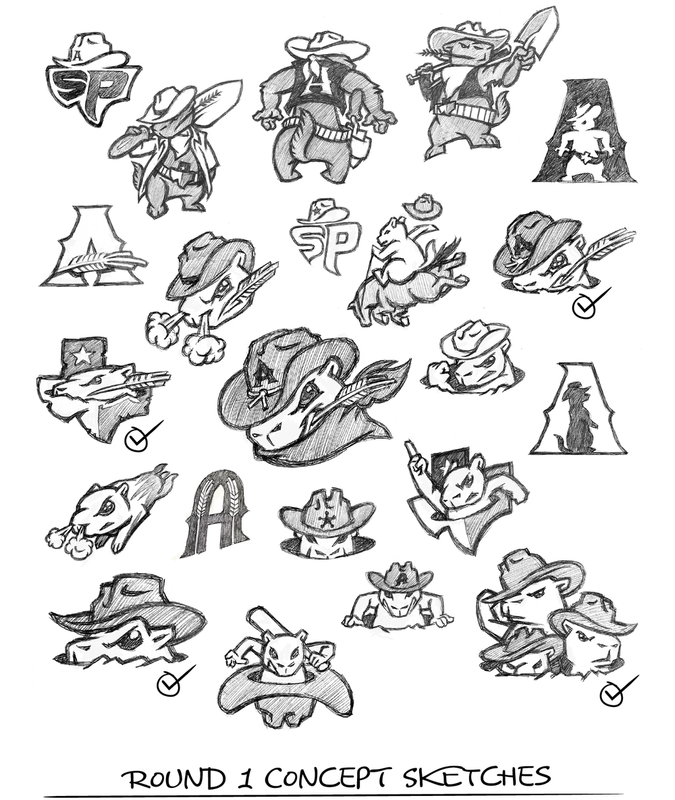 The second round of sketches served as a tool to refine the concepts before creating the final color versions of the marks. 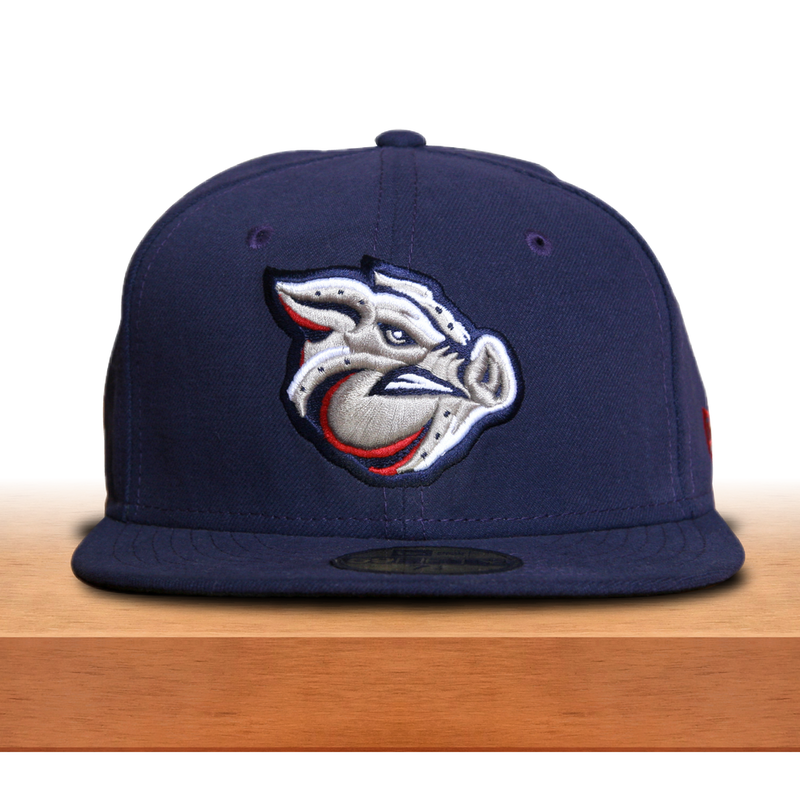 The primary logo features a coterie of Texas Sod Poodles defending their hometown turf. The cap logo features a Sod Poodle in the white hero’s hat biting down on a stalk of prairie grass, a nod to the community’s agriculture heritage. 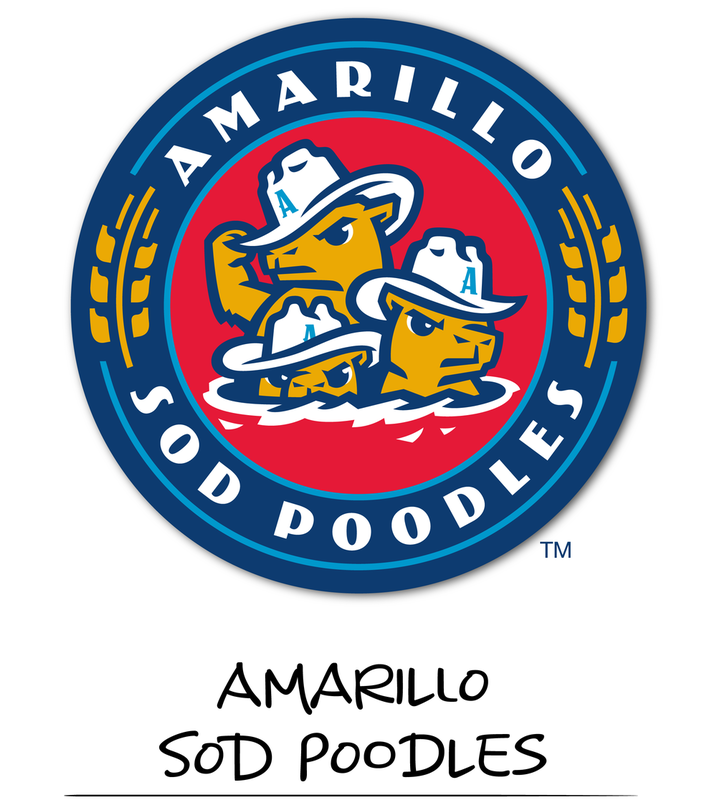 The leading Sod Poddle is tiping his cap, representing Amarillo’s welcoming hospitality. The quick-draw Sod Poodle represents the community’s tenacity and can-do attitude. Finally, the Texas Pride mark represents the Sod Poddle’s home, the great state of Texas. Amarillo Yellow, Texas Red and Blue, and Route 66 Retro Blue make up the club's new official colors. The Sod Poodles are the first professional sports team to use this color combination. Brandiose prides itself on an attention to detail. That extends to every step in our process and final application. A logo designed for a baseball team will first and foremost be seen embroidered on a hat. Not only does it need to be clearly readable by fans sitting in the stands looking at players on the field, but when that fan goes into the team store and picks up the hat, the embroidery of the hat needs to convey quality. The above swatches are what we receive from the hat manufacturer as part of the approval process. There are different embroidery techniques that we use to help bring a logo to life. Fill stitch is great for large flat expanses, but a satin stitch can help sculpt the folds of a cowboy hat or the contours of a snout, cheek, and jowl.